Ok, so we are pulling out the gold reels. With all the commotion of new reels and new features left and right, the Shimano Tiagra stands steady as a hell of a good reel. This reel is reliable it has a smooth drag and it puts a hurting on any fish you put up against it. The Shimano Tiagra should be any offshore game big game fisherman's first choice if they are ready to shell out the cash and go with the best. This reel is one heck of a big game fishing machine. It is a great reel to spool up with some hollow core braid and BUMP UP the drag for big game fishing. Check out this review by J&H tackle. These guys always put together some really great reel review videos. 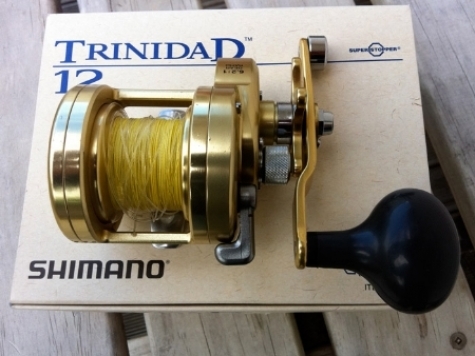 The Shimano TIagra 30 wide is a badass tuna reel and trolling reel in general. Rig this puppy up to catch some big fish with 100Lb hollow core and a 100Lb topshot of 100Lb monofilament. Check out "J&H Tackle's" review of the 30 wide. 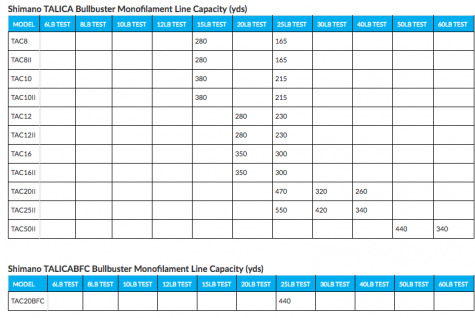 Below is the monofilament line capacity for all Shimano Tiagra models. 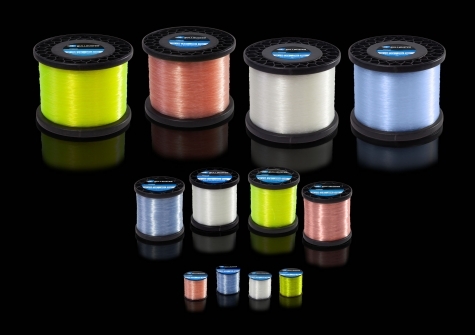 We have the monofilament line capacity for every single Shimano reel if you are interested. Below is the braided line capacity for all Shimano Tiagra models. We have the braided line capacity for every single Shimano reel if you are interested. This video was put together by Shimano USA which shows you how to maintain your Shimano Reel yourself. These reels can last a lifetime, but its up to you to keep your reels clean and maintenanced. If you are looking for a bait casting reel the Shimano Calcutta series has been at the top of the game for many years. 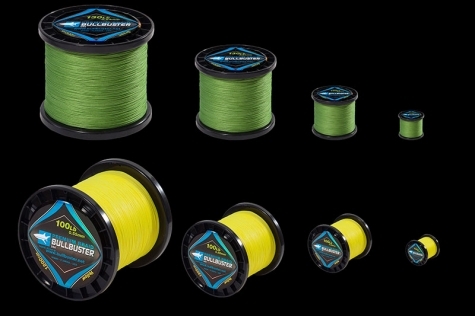 Below we have all of the monofilament line capacities for the Shimano Calcutta series. If you want to find out all of the Shimano Reel Monofilament Line Capacities, try out our tool. Throw your pen/paper/calculator away because the tool calculates the line capacity for up to 5 of your reels at once. 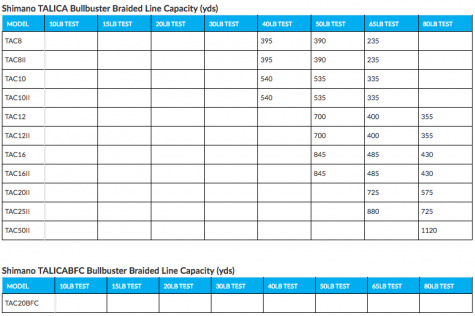 Below we have all of the braided line capacities for the Shimano Calcutta series. If you want to find out all of the Shimano Reel Braided Line Capacities, try out our tool. Throw your pen/paper/calculator away because the tool calculates the line capacity for up to 5 of your reels at once. Below you have a great review video posted by the “Cast & Destroy Angling”. This guy is pretty straightforward and honest with his review of the reel. This video posted by “Michael Nunez” talks about his Shimano Calcutta 400 that he has had for three years. This is better than your average review because it is raw and from the heart. You also get to see what your reel is going to look like and run like after some heavy action. They are all shiny when you first get them. This video posted by “Bearz G” goes in depth on taking your Shimano Calcutta 250 apart, lubing it up, etc. He does a good job explaining the different components and how they actually work. This video posted by “reelemup” is filmed with a super high quality lense. It is a great explainer video on how to clean and maintain your reel with some great suggestions.